Customize your PDF forms and turn them into reusable templates with our Annotate feature. 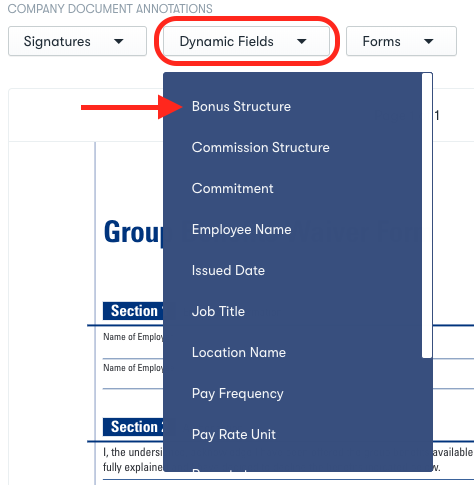 Now you can capture the information you need on your forms by annotating with dynamic fields that populate with employee data, electronic signatures, checkboxes and more. Step 2. Select Upload a file from your computer. Step 3. 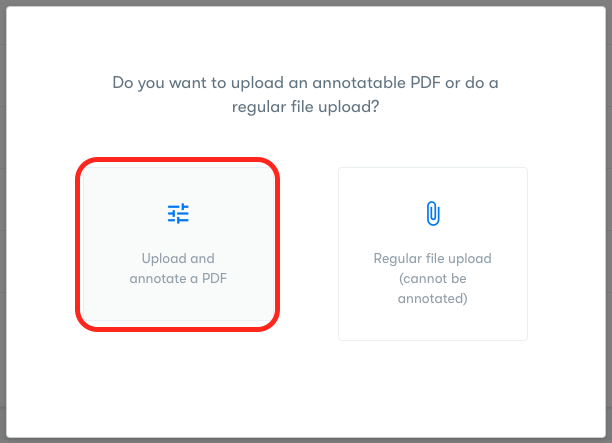 Select Upload and annotate a PDF. Step 4. Upload your document, name it and click Save. 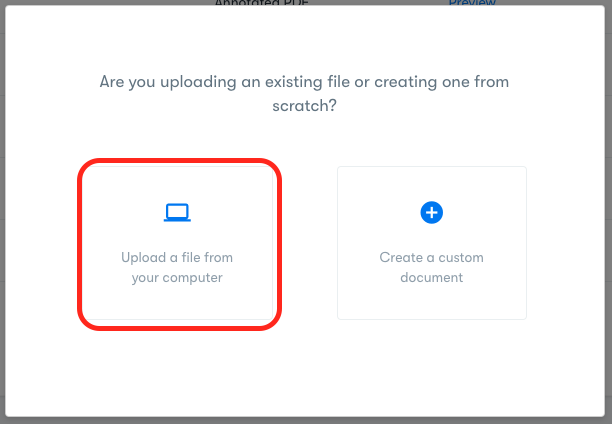 Step 5: Click on the three dots beside the document you just uploaded (OR if editing a previously uploaded document), and click Edit to begin annotating. Employee Signature: prompts the employee to electronically sign the document. Company Signature allow you to place previously saved signatures (typically of signing authorities within your company) on the document before sending it out to your employee(s)(learn more HERE). To add a signature, click the Signature Dropdown and select either option. When you have selected the signature you wish to use, simply drag and drop it to your desired location on the document. Resize the box to expand or shrink the signature. Note: For Employee Signature, this will be where the employee's signature will appear once signed. Dynamic fields pull data from the corresponding information captured and stored in the employee profile. They are dynamic because they change based on the employee. To add a dynamic field to your document, click the Dynamic Fields dropdown and select the field you wish to add. Once selected, simply drag and drop it to the position you choose, and resize the field if necessary by pulling on the corners of the box. There are 3 types of text form fields to choose from. These are to be used when you want an employee to fill out information on a specific section of the document. 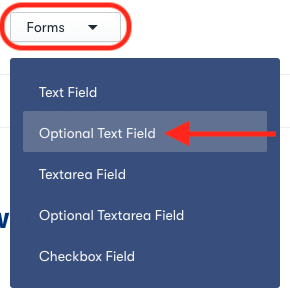 To add a dynamic field click the Forms Dropdown and select the text field you wish to add. When you select the field you want to add you can drag and drop it where you want it to go, and resize if necessary. Once you are happy with you document click the save button and you will be redirected to your Company Documents page, where you will be able to see your new document in the list. You can preview the document here too, and edit again if necessary. If you have any issues annotating your documents, please reach out to our support team using the chat icon in the bottom right corner of your screen or email us at support@collage.co.